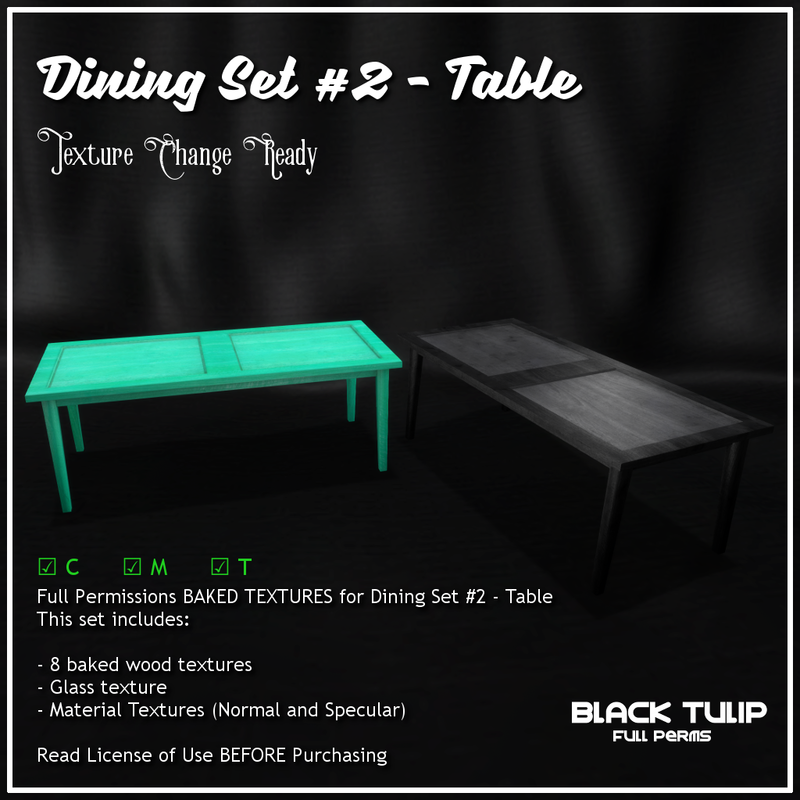 Bento's arrival to SL opened a whole world of possibilities to make our creations even more featured than before. Our new script is an addition to the family of AVsitter plugins that can play Bento hand poses together with older animations in AVsitter so your engines become more realistic and fun. The best of all is that you don't have to ditch your old animations because they don't have hand poses. All you need is adding Bento hand poses specifically designed, like our hand poses kit to enhance dining animations like holding a spoon, a wine glass, a knife and a fork, and more. The script is 50% off during the first week, and the poses have a huge discount during this first week as well. 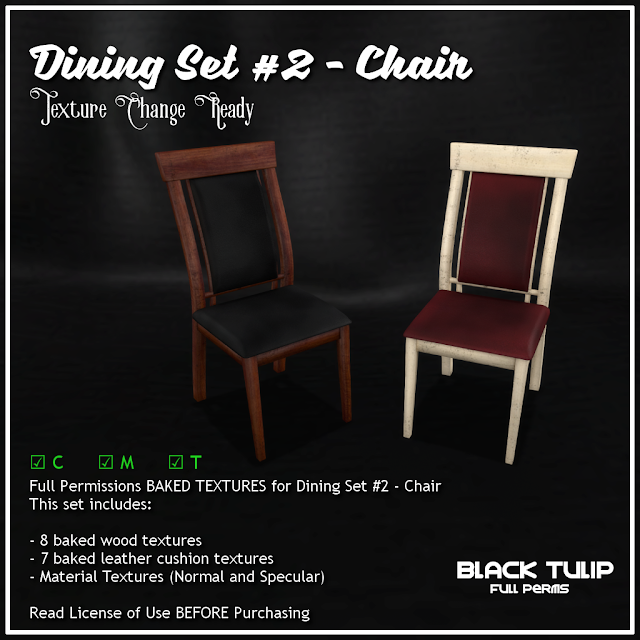 To complete the releases this weekend, we have a dining set composed of chair and table, plus textures packs, and an attachments kit for dining: wine glasses, spoon, fork, and knife. Our attachments license allows you to use them as copy/transfer where needed. These kits are also discounted until Monday only at the main store.